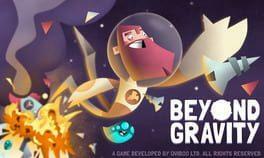 Beyond Gravity is procedurally generated "platformer" where you jump in-between planets and try to collect as many pickups as you can. This gets progressively harder the further you jump. No need to worry tho as you can upgrade your character with loads of upgrades and power-ups! Take control of brave space explorer and hold out as long as you can while collecting missing parts of your spaceship. Never miss to build up crazy score multipliers. Beyond Gravity is available from 1.99 to 3.00 from 2 shops.